The major diseases affecting wheat are becoming ever more dynamic and as a result, plant breeders are adopting smarter tactics to help minimise their impact on yield. 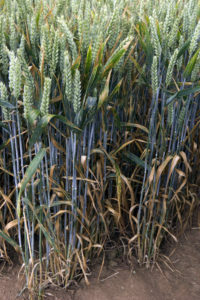 Disease control is challenging for wheat producers in the UK, as efficacy of fungicides is being eroded by reduced sensitivity in populations of the most damaging pathogen; Zymoseptoria tritici. Yellow rust – a disease that can slash yields by half in susceptible varieties – is now more widespread and its population more promiscuous. The new Warrior-type races can undergo sexual recombination, which means that the disease evolves more rapidly and can quickly overcome a plants inherent resistance. Similar changes in virulence are occurring in septoria, brown rust and mildew, albeit at a slower rate, and Limagrain’s cereal pathologist Paul Fenwick says single gene resistance is no longer enough in the face of such adaptable enemies. “With yellow rust, it is a particular challenge. We aren’t on the verge of defeat, but we are losing resistance genes one by one and even in pairs, where a variety has two. “As the pathogens are becoming more complex, we need at least three different genes to get robust and durable resistance to these diseases,” Paul explains. The first hurdle in rising to this challenge is working out what genetics breeders have at their fingertips in current elite lines or less conventional sources such as landraces, although the latter are much harder to utilise. 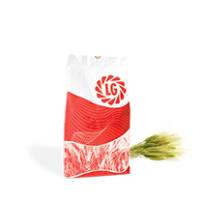 Limagrain now has a vast set of molecular markers developed in-house. These are tools that help identify a specific desirable trait, such as septoria or yellow rust resistance, and enable the “pyramiding” of resistance genes into a new variety. Mr Fenwick says that in theory, it is possible to stack many resistance genes into an elite variety, but this will severely restrict the diversity of breeding populations for other desirable traits. It can also come at a cost, as highly resistant plants typically have reduced yield, quality or perhaps undesirable agronomic attributes, such as increased lodging risk. 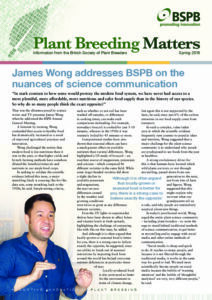 “Even with genetic markers, the skill or art of the breeder comes in to play when it comes to choosing the optimal phenotypes,” he explains. A much better understanding of the genetics behind septoria resistance, twinned with the smarter breeding techniques, is bearing fruit in the form of highly resistant wheats coming on to the AHDB Recommended List. One example is Limagrain’s soft Group 4 variety; LG Sundance, which has the highest current rating of 7.4, and Mr Fenwick is excited by what is now achievable against wheats most damaging disease. 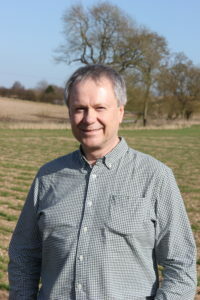 “We also know that stacking septoria resistance has an additive effect, and the varieties coming though that have several resistance genes will hopefully be very durable,” says Mr Fenwick. 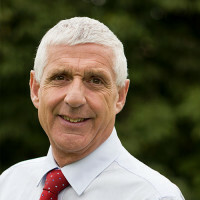 He adds that varieties with a rating of 8 – which are close to being a commercial reality – will be very attractive to UK growers, especially to those in the west and south west where the disease is particularly problematic. With yellow rust, achieving more robust resistance is becoming more difficult. It takes time to bring new sources of resistance into elite varieties, and regular population changes means the resistance won’t necessarily be effective when commercial seed is finally available. While many varieties on the AHDB Recommended List have good resistance to the current population, more needs to be done to ensure new wheats coming through have durable resistance that are less prone to breaking down to population changes. A consortium led by NIAB, including Limagrain UK, have applied to BBSRC and AHDB for funding to characterise yellow rust resistance in elite European wheat lines, enabling breeders to better utilise the genetics in the future. This new project is called Yellowhammer, and will hopefully start this summer. “It will help us to be technically smart and provide growers with ‘clean’ varieties which are not overly-expensive to grow,” adds Mr Fenwick. While septoria and yellow rust resistance are the current focus of wheat breeding efforts, emerging threats like stem rust are seeing breeders prepare for unexpected new challenges. Stem rust is a disease which favours hotter climates and has been absent from the UK since the early twentieth century, except for an isolated case in Suffolk during 2013 – the first recorded in 60 years. However, Limagrain’s Paul Fenwick says there have been several cases in Western Europe more recently – in Germany, Sweden and Denmark – which is a cause for concern. 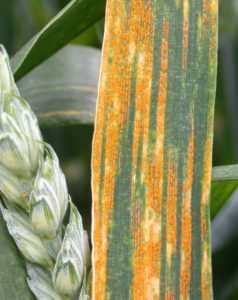 With about 80% of UK wheat varieties recently tested by researchers at NIAB susceptible to the strain of stem rust implicated in the outbreaks, UK breeders are now searching for sources of resistance to the disease, if it becomes more common place. “You would only need a slight change to warmer night time temperatures and we could start to see more stem rust. It is also a highly sexual population and could spread quickly,” says Mr Fenwick.